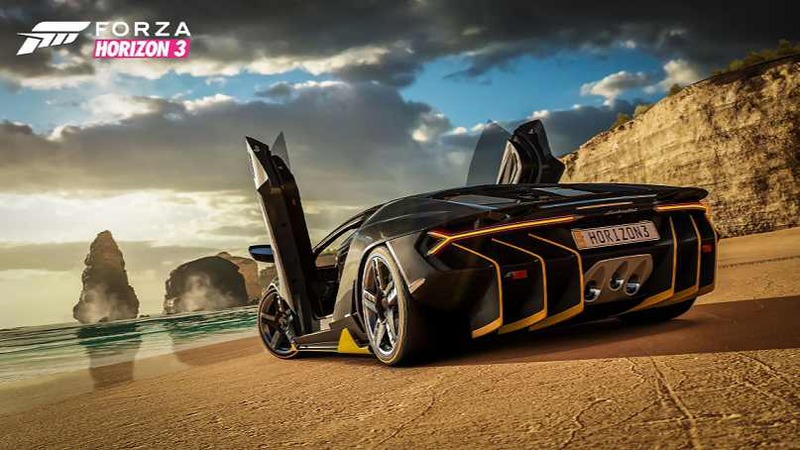 New Forza Horizon 3 update comes with fixes and improvements. Patch is available for both Xbox One and Windows 10 users. The latest Forza Horizon 3 patch is mostly focused on improving performance on the Windows 10 version. Fixed an issue where having a microphone enabled in the game but no speech pack installed would cause the title to crash on Windows 10. Fixed an issue that would cause a game crash for some Windows 10 players when entering Maroondah Road Bucket List event. Fixed an issue that would cause a game crash for some Windows 10 and Xbox One players when joining online Bucket List Blueprint challenges with mismatched DLC. Fixed an issue that would cause a game crash for some Xbox One players when pausing the game. Fixed an issue that would cause a game crash for some players when collecting Loyalty Rewards while in a Convoy. Fixed an issue that would cause a game crash for some players when using the AMD R9 Fury X graphics card on Windows 10. Fixed a TDR for Windows 10 players. Players running four-core setups on Windows 10 should see CPU improvements. Improved thread layout changes for eight-core setups on Windows 10, resulting in improved performance. Improvement to performance in upgrades and tuning screens on Windows 10. Fixed a stall when driving in Byron Bay on Windows 10. Stall fixed when applying Drivatar liveries while driving on Windows 10. Stall fixed when driving in free roam on Xbox One. Improvements to force feedback dead zone and FFB performance when driving on tarmac on both Xbox One and Windows 10. Fixed a bug so that wheel button prompts now match the in-game bindings on Windows 10. Actions that must be mapped are now identified in the UI and number of actions that must be mapped has been reduced on Windows 10. Fix for photo mode being blurry for some Windows 10 players. Groove music playback improvements on Xbox One. Upgrade basket UI now supports mouse input for Windows 10. Fix for bug that prevented Windows 10 players from progressing past the Start screen with no internet connection. Added Master Volume option for Windows 10 players. Fix to Advanced Camera functionality in left and top views in Paintshop (Xbox One and Windows). Fix to enable Rewind when returning from Co-Op to Solo (Xbox One and Windows). Added option to mute microphones in-game (Xbox One and Windows). Player can now continue driving when fuel runs out (Xbox One and Windows). Horizon Edition cars that boost either Skills or XP no longer provide a benefit in Online Adventure. Fixed an issue where the Perk “The XP Bump” worked in Online Adventure. Now it provides no benefit outside of single player racing. Added a 30-second cooldown to the Drift Tap Skill. Reduced the amount of XP awarded for banking Skill Chains. Reduced 3-Star score target on the following Drift Zones: Mountain Scramble, Mountain Foot, Reservoir, and Gold Mine. Previous Horizon Edition cars removed from Wheelspins; new Horizon Edition cars added. The new HE cars are the BAC Mono Horizon Edition , Chevrolet Corvette Z06 Horizon Edition, Lamborghini Countach LP5000 QV Horizon Edition, Mercedes C 63 AMG Coupé Black Series Horizon Edition, MG Metro 6R4 Horizon Edition, MINI Cooper S Horizon Edition, and the Subaru Impreza 22B STi Horizon Edition. Added the name of the current Championship to Car Select in Online Adventure to help players choose a suitable car. Horizon Edition cars display the correct bonus for Wheelspins. Fixed an issue where the Landmarks stat was incorrectly listed as 21 instead of 19, stopping players reaching 100 percent complete.